Wintergreen Resort: Quick, what comes to mind? If it’s images of skiing and other winter sports, that’s understandable. As one of the most popular ski resorts in Virginia, Wintergreen offers all kinds of winter fun that includes great skiing and snowboarding trails plus sliding down the state’s longest snow-tubing park. We ourselves have experienced Wintergreen during the ski season and recommend it for a fun chilly-weather getaway. But as an all-season resort, Wintergreen, just three hours from Washington, DC, never goes into hibernation. During summer, in fact, you can see more of what makes this a great recreational area. We were invited last month to experience Wintergreen when it’s more “green” than “winter.” Even with three days there, we only experienced a portion of all the fun that’s available! 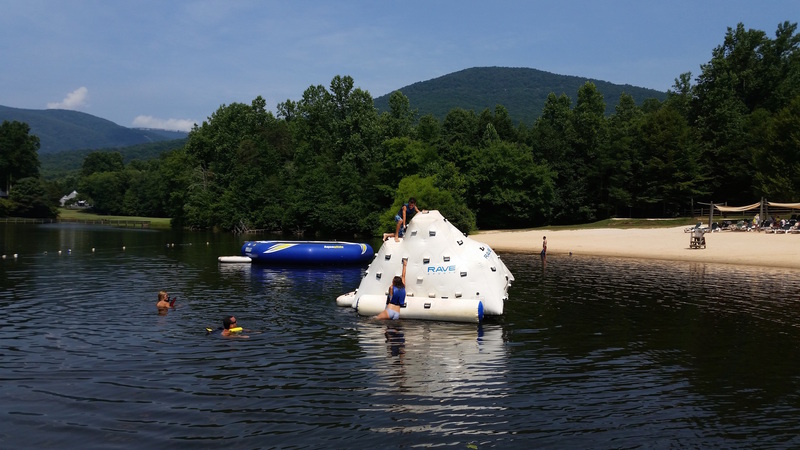 Below are our top picks for families visiting Wintergreen in the warm weather months. 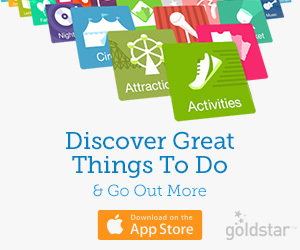 Take a look to see what you may have been missing out on! What could be more fun that snow tubing along a track that is longer than three football fields? Doing the same thing in warm weather, minus the bulk of winter gear! In the summer, The Plunge, the snow tubing park at Wintergreen, gives you thrills without the chills. As with snow tubing, you need no special skills or equipment. You just sit in a large inner tube and go downhill! It sounds simple, but this just a big slide, as the joyful screams of participants let on. As you go downhill at speeds reaching 30 miles per hour, you can’t help but shriek with delight. This is a delightful activity suitable for people of most ages (it’s recommended for ages six and up), and we thought that the summer tubing seemed faster (and might be even more exciting) than snow tubing. The track, made from a product called Neveplast, creates a slippery path for the tube, so you have a long, fast ride. 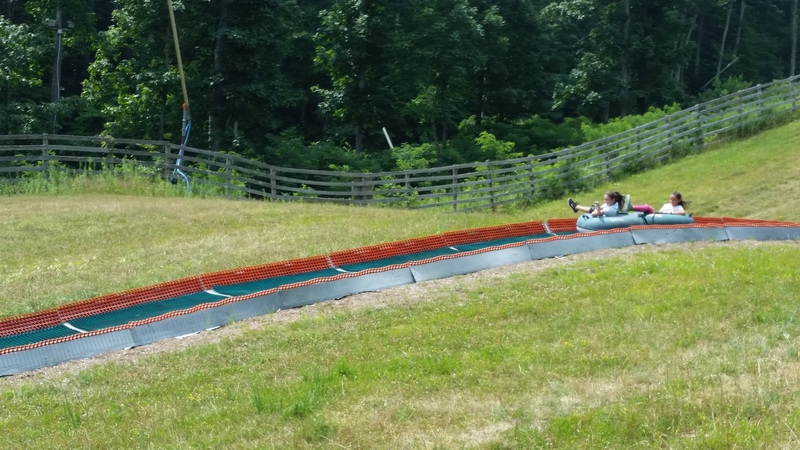 One word of caution: unlike snow tubing, which has up to 10 lanes open at once, summer tubing is limited to one lane, and the one-hour sessions often sell out, so it’s best to plan for this in advance and book your session. 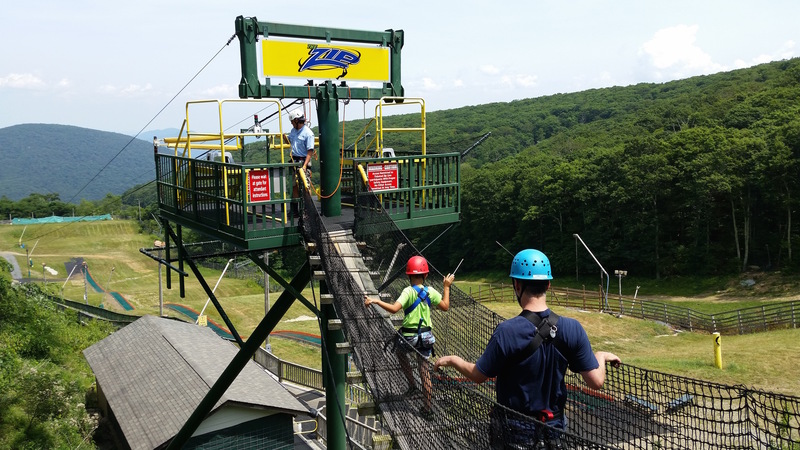 Adjacent to the summer tubing is The Zip, the thrilling zip line at Wintergreen. Here, you will glide down 900 feet with speeds of almost 40 mph, all in just about 30 seconds. This is a long and “real” zip line where you’re flying high! 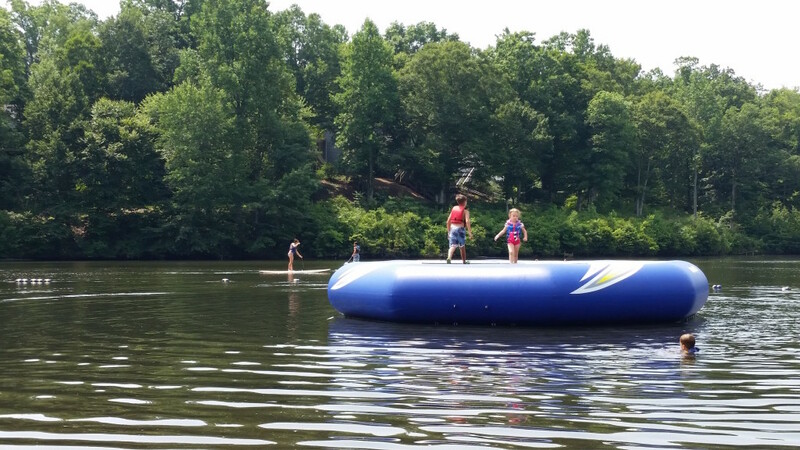 As with the summer tubing, The Zip is a popular attraction in high demand, with limited hours (to save wear and tear on equipment) so you’ll want to book a time in advance. Also note the strict weight and age requirements: our son just barely made the 75-pound minimum (and yes, they will weigh you before you go). The tubing and zip line are adjacent to Discovery Ridge, which offers many more activities indoors and outdoors. 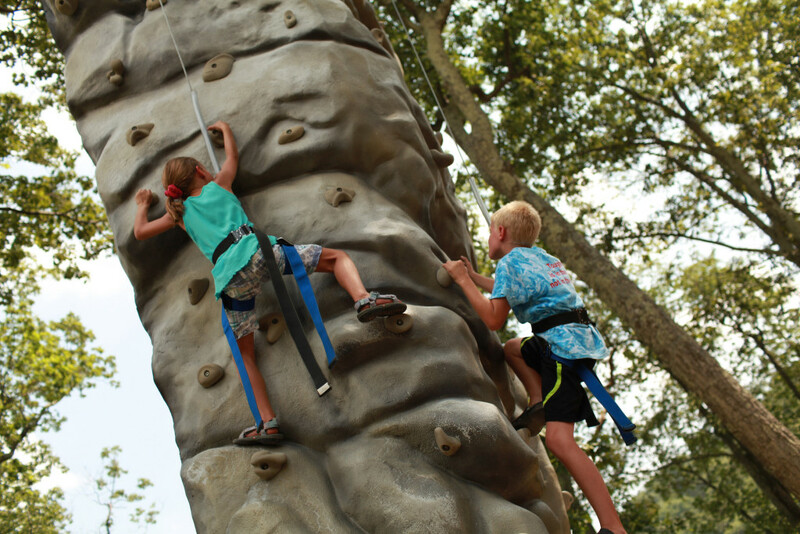 For bigger thrills, there is a rock-climbing tower, a bungee trampoline, and a mechanical bull for kids (inside). 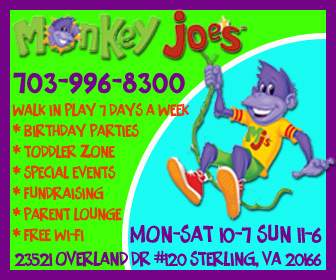 For simpler fun, there is a small miniature golf course, archery, and indoor games including a moon bounce and pool, foosball, and air hockey tables. Gamers will enjoy the wifi lounge with multiple Kinect Systems, Xbox 360s, and Nintendo Wiis, 42-inch TVs, and comfy game rocker chairs at every station. This area also makes for a great rainy-day or beat-the-heat moment. To make the most of your activities, take advantage of the Mountain Pass, which offers multiple activities at Discovery Ridge and Lake Monocan for one price. We all had passes and found that the choices were enough for a couple of days and the savings were worth it. One distinct advantage to visiting Wintergreen in summer is Lake Monocan. This 20-acre recreational area in the valley, near the resort’s Stoney Creek golf course, offers relaxation and active fun… your choice! If you need to kick back, grab one of the many chairs (a good number of which have umbrellas) along the beach, go fishing, or enjoy a leisure ride on a kayak or canoe. For playtime, rent a stand-up paddleboard or Aqua Cycle, jump on the floating trampoline, or go for a game of sand volleyball. Having so many choices is good, especially with kids, because you never know what they’ll go for. I was certain our 10-year-old son would want to go for the Aqua Cycles, but instead, he was excited about the canoes. 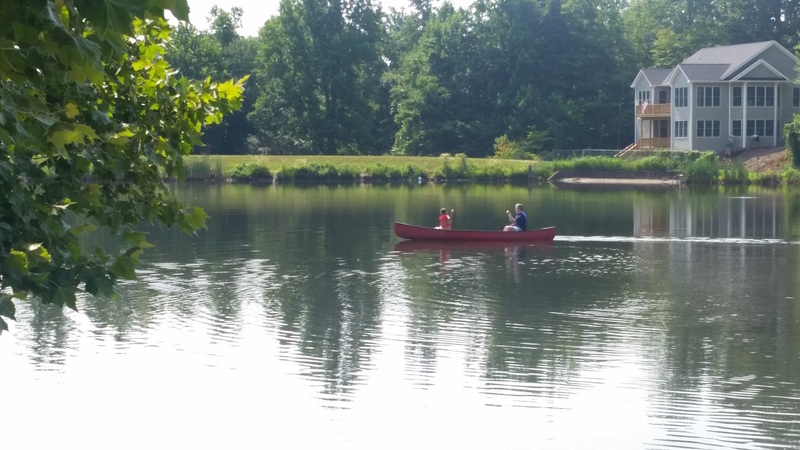 He’d never gone canoeing but was determined to do this first – and once he did, he looked like a natural. Of course, later on, he was thrilled to swim out to the trampoline in the lake to bounce around. 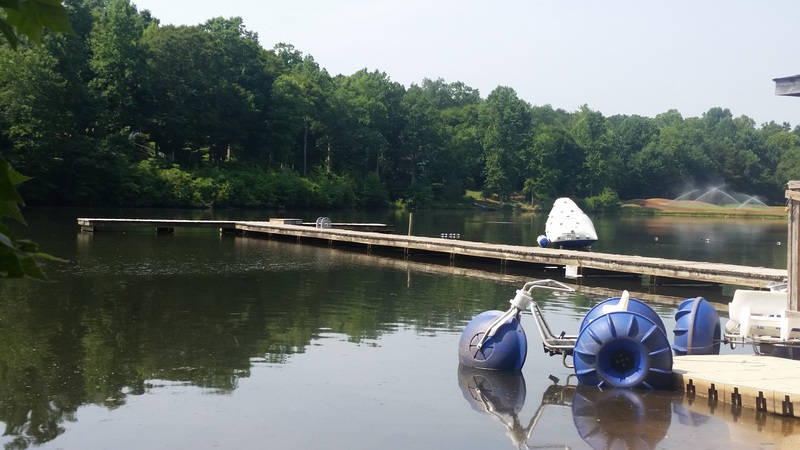 During the summer, Lake Monocan has a lifeguard on duty daily and Wintergreen rents out the Aqua Cycles, canoes, and kayaks. To make the most of your visit, plan to spend at least a couple of hours at Lake Monocan, and take advantage of the Mountain Pass to save on activity fees. (Also remember to schedule in travel time from the resort’s main lodging areas.) For dining you can bring your own picnic (there are tables) or enjoy simple snacks (burgers, pizza, chips, and the like) for sale. Outdoor sports are plentiful at Wintergreen. Golfers can take advantage of two courses, Devil’s Knob and Stoney Creek. Located at an elevation of more than 3,800 feet, 18-hole Devil’s Creek is the highest golf course in Virginia. With magnificent views of the Blue Ridge Mountains and temperatures cooler than in the valley, playing golf here is a treat. In the valley, Stoney Creek offers three 9-hole options that also offer challenges and great views as the course wind their way through the Rockfish Valley. 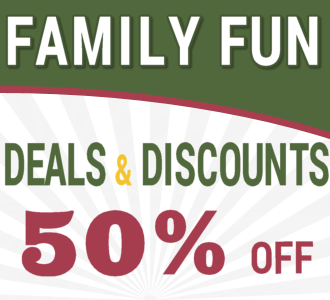 If you’re not a golf enthusiast but want to learn or at least try it once, Wintergreen offers a “Family Fun 9” deal. 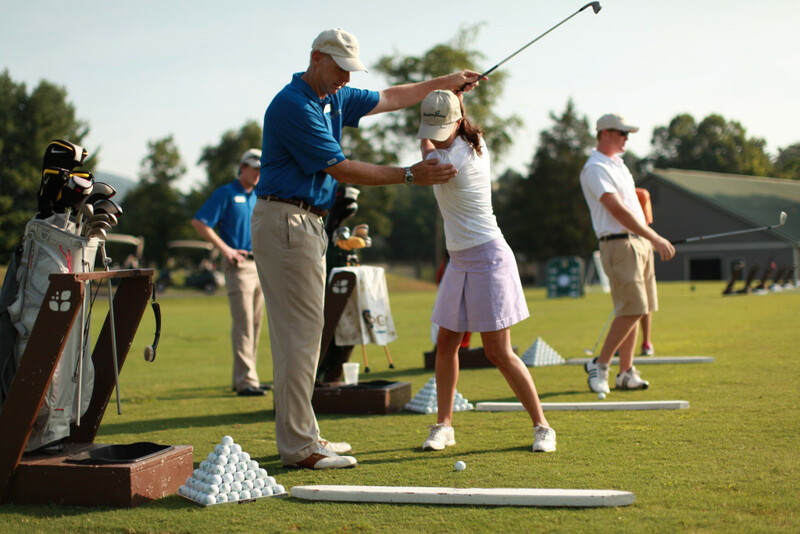 This special, available on select days, is custom-made to introduce families to the sport on a nine-hole golf adventure. Also popular at Wintergreen is tennis. 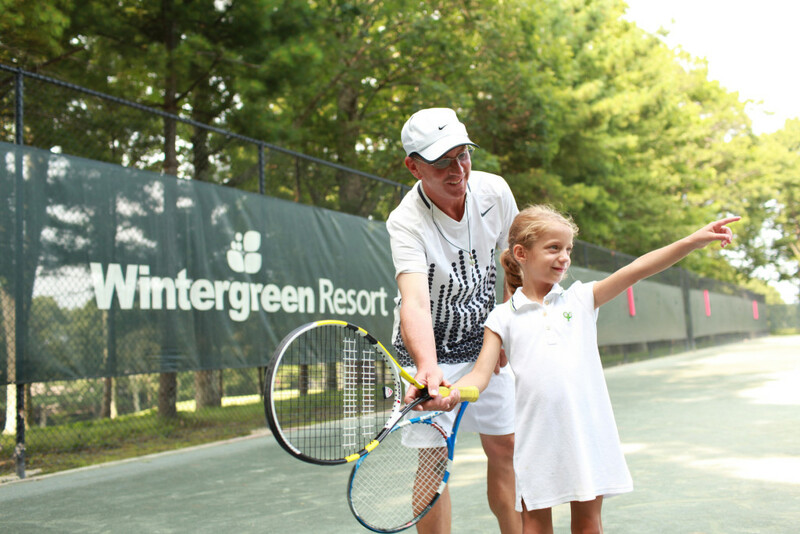 In total, Wintergreen has 22 courts and a highly ranked tennis program, noted both for its programs and lessons. Other outdoor sports and fitness options include fly fishing, a challenging mountain biking course, and the archery program at Discovery Ridge. It’s tempting to make the most of your resort stay by squeezing in multiple activities, but sometimes the most enjoyable moments are those when you’re not doing much. 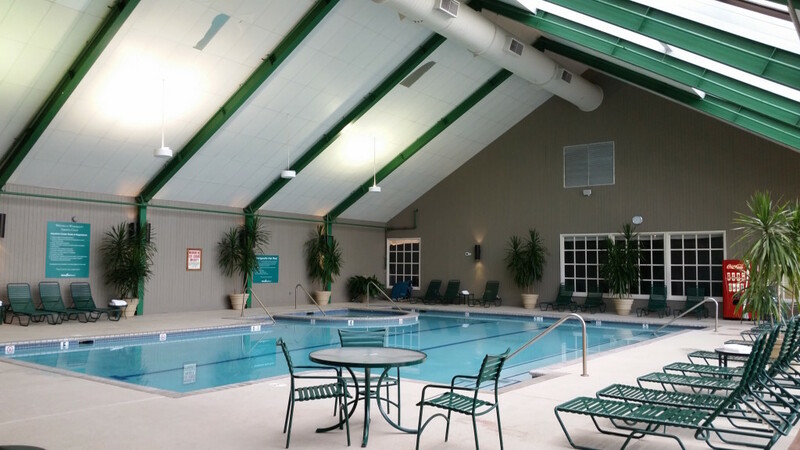 For a refreshing and simple break, head to Wintergreen’s indoor and outdoor pools. We loved the beautiful outdoor pool with its swimming lanes and nearby hot tubs. Indoors, the pool at the spa (where the outdoor pool also is located) is a nice size and has enormous windows that let in lots of natural light. Although we were blessed with great weather during our visit, this also would be a good rainy-day option. The water is kept at a perfect temperature and there is a hot tub indoors, too. On the grounds of the resort (near the spa) is Trillium House, home to The Nature Foundation at Wintergreen. This non-profit group conducts research into the local ecosystem and hosts educational opportunities including hikes and family programs. 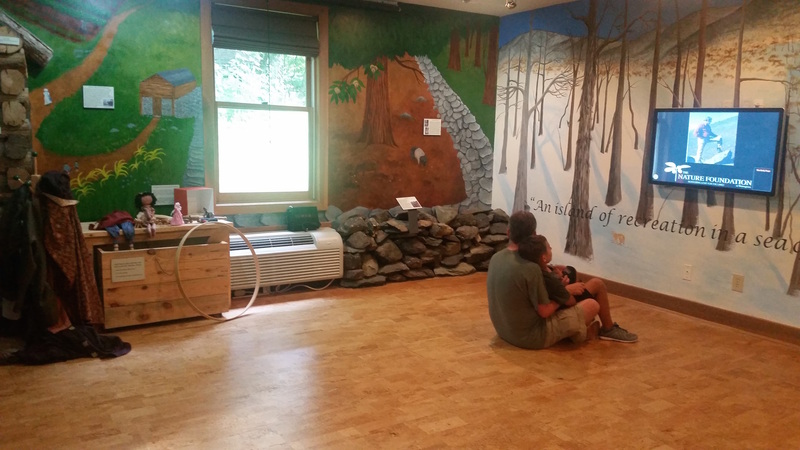 Make time to visit the Trillium House, which has interactive exhibits, a live king snake, and short films. And be sure to visit the Robins Nook upstairs! 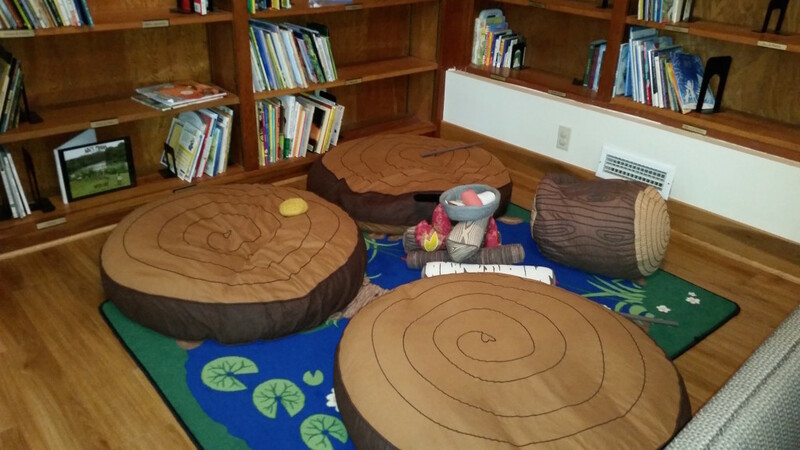 This lovely play area has games, and arts center, and plenty of books (with a “campfire” seating area) and nature toys. 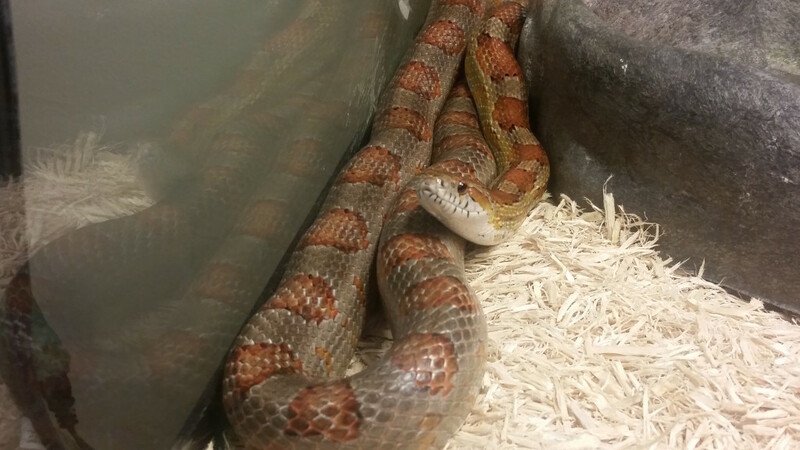 Although it’s geared to younger kids, it’s inspirational for anyone who loves nature and animals. Our now “big” boy surprised us with a lively impromptu show using the center’s puppet stage and many interesting plush animals (frog, raccoon, and more). Admission to the Trillium House is free, and there is a nice gift shop with books, toys, stuffed animals, and decorations. This is a good place to visit at any time, and of course a good option on a rainy day. 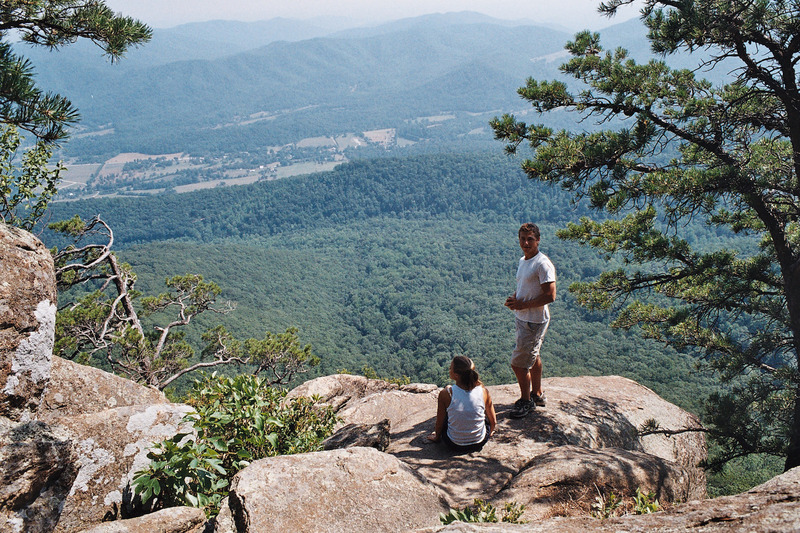 The Nature Foundation maintains more than 30 miles of beautiful trails at Wintergreen. The resort’s setting high along the Blue Ridge Mountains provides amazing views, and of course a hike will take you places you can’t see otherwise. Easy, moderate, and difficult trails are available to explore on your own or with a guided hike. 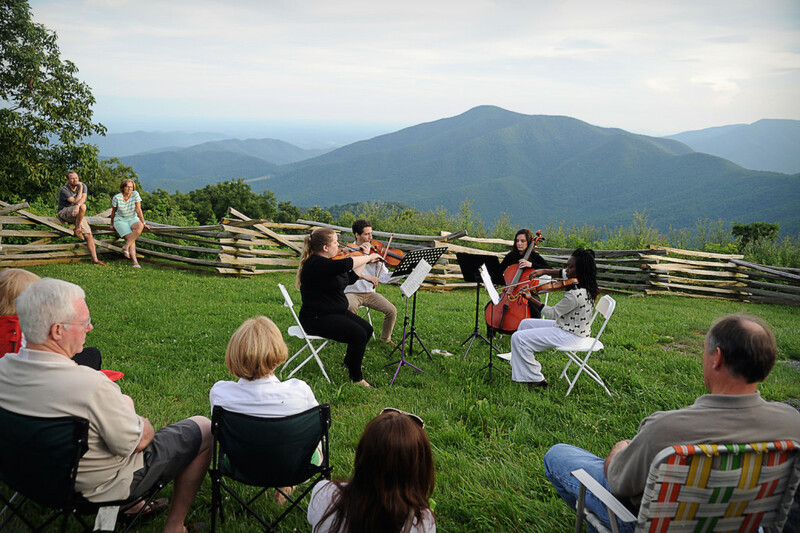 During our visit, we were treated to a jazz concert that is part of a long Wintergreen tradition, the annual Wintergreen Summer Music Festival and Academy. There’s something extra-nice about enjoying music with a glass of local wine, looking out at the mountains while the sun is about to set. This popular series featuring renowned musicians is just one of the special events that Wintergreen hosts in summer. There are also shows, cooking classes, and more, many of them geared to families. Wintergreen offers a few options for dining on site: there are four restaurants on the property, both casual and upscale. These serve American and Mediterranean fare with beautiful views. You can enjoy them year-round, but summer brings extra options for ambiance. 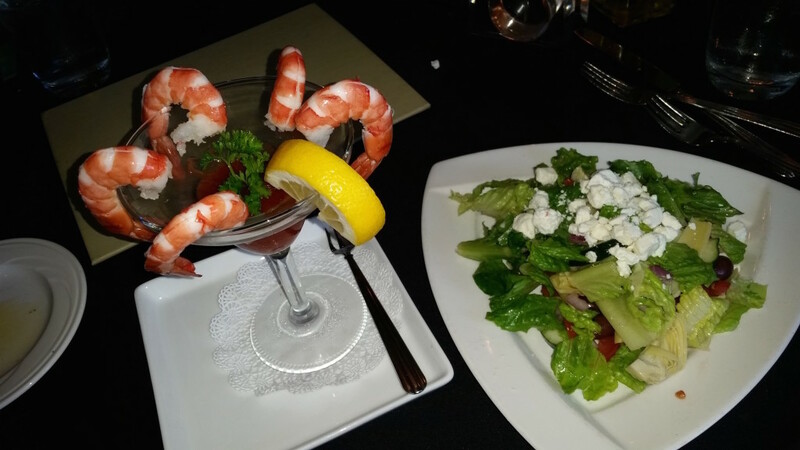 At Devil’s Knob, for example, you can enjoy your meal overlooking the wooded golf course, seated in a lovely terrace where you can feel the crisp mountain air. Of course, there is plenty more to enjoy at Wintergreen at any time of the year, both at the resort and in the surrounding community. If you enjoy locally made goods and adult beverages, you will be thrilled at the many wineries, cideries, breweries and distilleries that are nearby, such as Bold Rock Cidery, where we enjoyed tastings with fantastic views, and Veritas Vineyard, where in a spacious and lovely tasting room we tasted some great local wines and learned about this family-run winery. We had a busy couple of days at Wintergreen, and at the end of our trip I was ready for the one activity you can enjoy at any time, in any weather: pure relaxation, courtesy of the spa. The Spa at Wintergreen is an elegant, full-service facility offering massage, skin care treatments, and more (I recommend the deep-tissue massage). For information on accommodations at the resort and attractions at other times of the year, read our post from our winter visit to Wintergreen. Disclosure: My family was invited for a three-day stay at Wintergreen to explore the resort in summer and share tips with our readers. We received lodging, meals, Mountain Pass cards, and other gifts. This article is my original writing and reflects my honest, personal opinions. Photo credits: Discovery Ridge, golf, tennis, hiking, music, and spa photos (c) Wintergreen Resort and used with permission; all other photos (c) P. Hall. 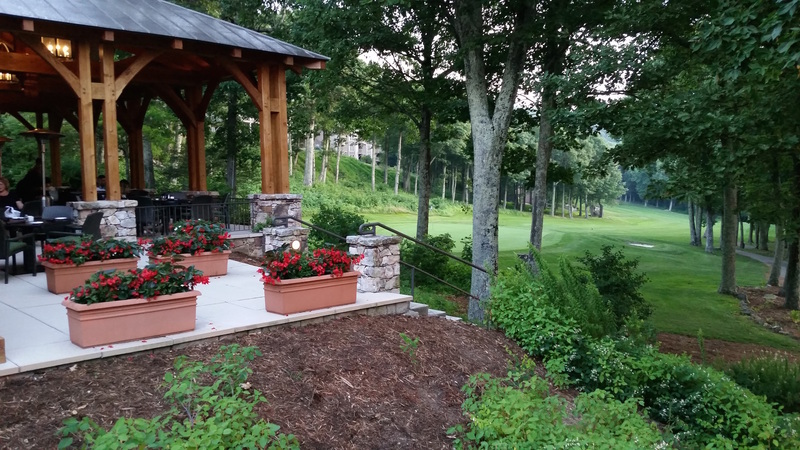 Share the post "10 reasons to love Wintergreen Resort in summer"